As E3 quickly approaches, we take a look at EA’s press conference from E3 2014 to see how it turned out for them one year later. Going into last year’s E3 press conference, EA had a questionable selection of titles for the launch of the PS4 and Xbox One. Their FIFA and Madden sports titles were solid and Need for Speed Rivals was a good starting point for their new studio that took over the series after Criterion’s unexpected departures, though NBA Live 14 and Battlefield 4 being bad and broken, respectively, left people with an unclear view of whether EA was trending upward or downwards for 2015 and beyond. At least Titanfall gave them some positivity heading into E3, though not as much in terms of sales due to the Xbox exclusivity that kept the game off of the PS4 after its early lead on the Xbox One. Regardless, EA went into its press conference with most people unsure whether they had enough to show for a one hour event because of what we knew was coming beforehand. A dozen new experiences. False. While it would be easy to say that few of these were new experiences in terms of being cynical, the PR version of this phrase would probably count some of these annual sports franchises as “new experiences” because of graphical gameplay overhauls that is disingenuous at best. The genuinely new stuff tops out at about six games from the list that only had behind the scenes footage being shown. Humble EA. Andrew Wilson, the new CEO at EA, and his crew of speakers made sure to mention that they would take the time to listen to their consumers, communities, and anybody else with feedback about their games and try to invest resources to addressing as much of it as possible. That obviously comes after the disastrous launches of Battlefield 4 and Sim City, where the Maxis team especially seemed to disregard what the fans wanted in terms of a next-generation city building game, which lead to them having to be very open to their audience to try to get back in their good graces. So far, that seems to have worked for them at this point. Good Lineup. Despite there only half of a small list being anywhere close to releasing within the next year, there are some good and interesting titles on the list. Star Wars Battlefront and Mirror’s Edge are the highlights of the far out titles as two titles fans have been wanting out of Dice for some time. Criterion’s new game looked rough, but Burnout fans have faith that those remaining at the former great racing dev can pull off something cool with enough time from EA. Add in Bioware’s three titles and you’ve got some potentially great titles if they all work out, though it’s a shame that Casey Hudson left for Microsoft after pre-production was done with the new Mass Effect. B-Roll at a Press Conference? While it’s expected that many games at a press conference would be too early in the stages of development to give a proper look at gameplay, story, or whatever, EA obviously had so much time to fill that every segment went longer than you’d want given what they have to show. Many of these games had nothing to show received these extensive behind-the-scenes trailers of developers talking vaguely about their games because there isn’t much beyond what we saw. 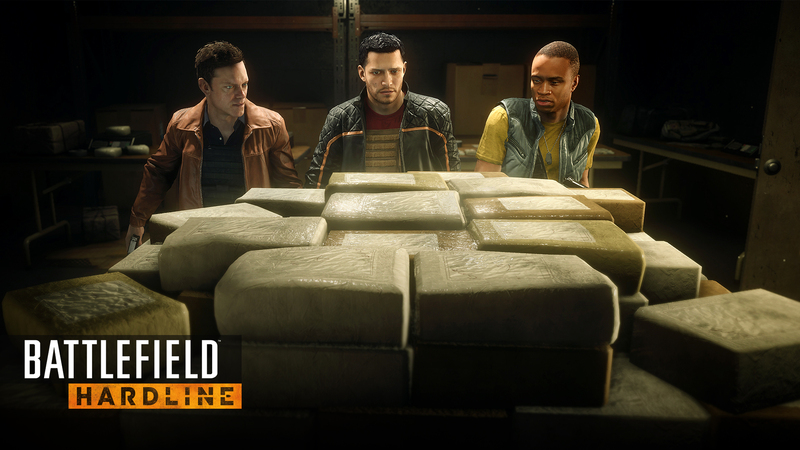 We can appreciate good behind-the-scenes footage, but that sort of video content typically appears as extras on the game’s disc or periodic videos that are dropped leading up to the game’s launch. It lead to the show feeling like it moved more slowly than a typical press conference where only the biggest titles get more than a minute or two, but each game at EA’s event averaged about five minutes. Microsoft averaged about two minutes per game. That’s the curse of a single publisher press conference when some of these games also get featured at the first-party shows. Fake Crowds. No, this isn’t about piping crowd noise over the PA system to make it seem like more people are cheering. It’s about the audience being so full of EA people that you can clearly hear where Maxis team is at because they go nuts when it’s time for The Sims 4 and it’s the same for many of the other teams in attendance. There are probably some fans also in attendance, but this event at times felt like a company picnic where each team readied for their presentation, cheered on their coworker on the stage, and made sure their presence was known. I’ve seen this at company picnics in the real world and it’s just as lame there as it was here, though I don’t begrudge anybody supporting their coworkers. It just doesn’t look good when there are people screaming like they just won the company raffle prize for a week of paid vacation time. Battlefield Hardline’s Theatrics. EA’s press conferences are well-known for weird theatrics from presenters, as you can see if you look up what happened when they announced Peggle 2 a year or two ago. With Battlefield Hardline, they tried to make a huge deal out of releasing the beta on the same day as this press conference and having a ton of demo stations off-stage by also having smoke shoot out of the stage as a mic drop moment, which came off more as an awkward moment than something that was awesome. It’s a good thing they’re better at making games than these presentations. EA’s press conference was a weird mix of some solid games coming in the near future and the rest were games too far off to show anything to get you excited. The Star Wars Battlefront segment at the beginning was a good start to EA’s reign of making Star Wars titles, especially after what we’ve seen of it a few months ago. We still have no clue what’s up with the new Mass Effect, Mirror’s Edge and the other new titles from Bioware and Criterion, so those seem like safe bets for this year’s show. For the good, Dragon Age: Inquisition won a ton of end of the year awards from various sites. In terms of the bad, Dawngate has been cancelled in the year since and Maxis has shut down to single the end of a huge PC legacy for EA on the simulation front. It’ll be interesting to see how these early games have progressed for their show next week. Stay tuned for more Hindsight articles coming soon with Ubisoft next before we return to Sony and Nintendo to cap it off as our E3 coverage continues.